Fine tonewoods, hardware and style. 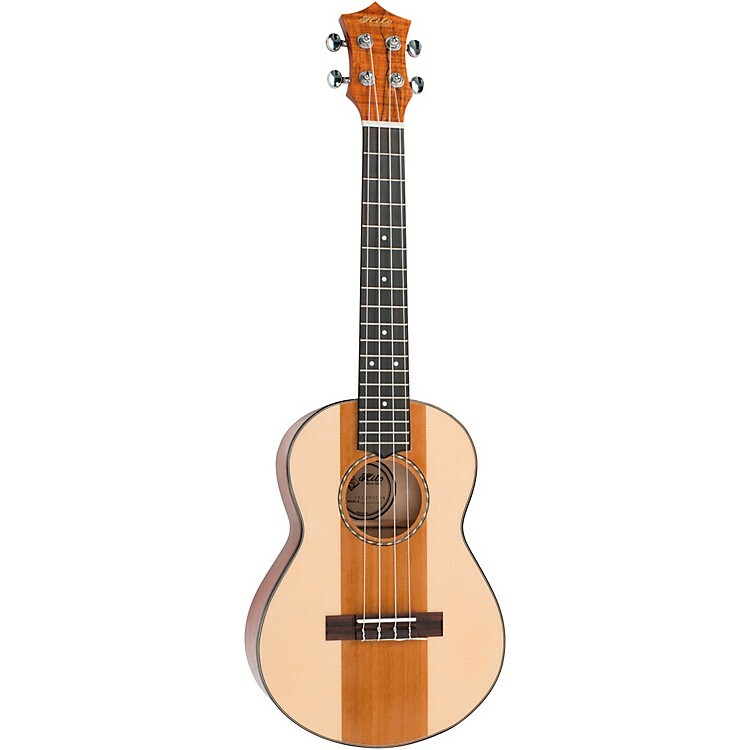 The Hilo Premier Spruce Pine Tenor Ukulele is a premier tenor ukulele that features a stunning three piece spruce and pine top and spalted maple body, mahogany neck, and alternative engineered wood fingerboard. This ukulele also comes equipped with chrome die cast tuners, spalted maple peghead cap, and a Hilo polyfoam hybrid case. It all adds up to a great choice. Order today.